During their Search event today, Google’s Marissa Mayer highlighted the fact that the search giant ran their first real commercial this year during the Super Bowl. If they choose to run a second, I think they have it. 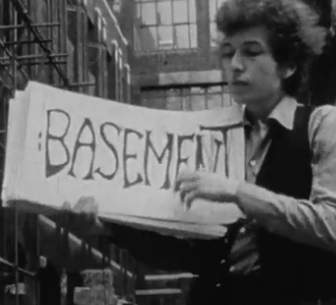 Later in the event, Mayer introduced a clip they put together using Bob Dylan’s “Subterranean Homesick Blues” music video. It’s a smart idea because in the video Dylan uses flash cards to show what he’s saying as he sings it — sorta like how you now see results as you type with Google Instant. The video cuts between shots of Dylan’s video with someone doing a Google Instant query based on what he’s singing and the results showing up as they type. It’s a nice, fun way to show off the power of Google Instant. And at 45 seconds, it’s almost the perfect length to run as a TV spot. Google has traditionally shied away from advertising, but their chief rival Bing (Microsoft) is doing plenty of it all over television — and they appear to be gaining market share. It may be time for Google to counter in a real way with ads like this.